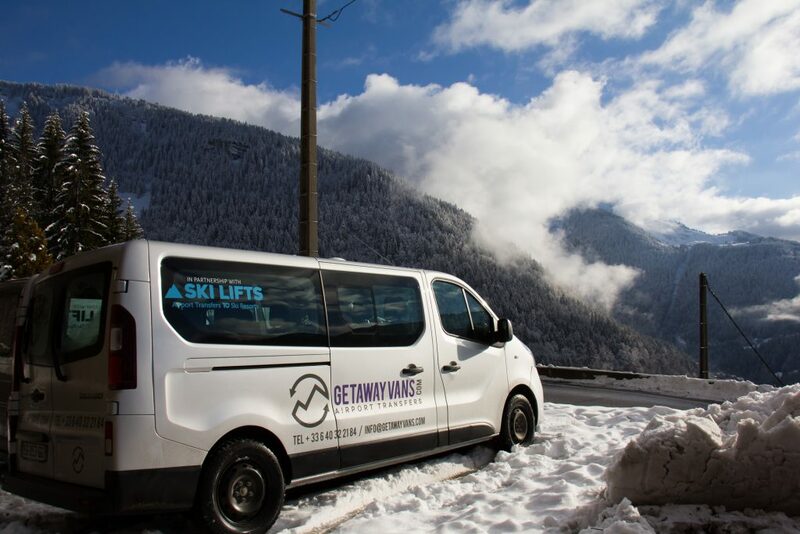 Getaway Vans is one of the only airport transfer companies in Morzine to offer three different types of ski transfer from Geneva Airport to Morzine, Avoriaz and Les Gets: private transfers, shared transfers and economy shared transfers. So you can choose the option that best suits your needs and budget. Prices depend on which resort you’re travelling to, so make sure you check our quote generator before booking. If you book a private transfer, your driver will be waiting and ready to go when you arrive in Geneva, and you won’t have to share a minibus with any other customers. That means no waiting around at the airport and transport straight to your door – no stops in between. Private transfers are ideal if you’re travelling with young children or if you’re on a short break and want to get in as much skiing time as possible. We also offer private transfers from Geneva hotels and Geneva train stations. You’ll never have to wait at the airport. A vehicle will be reserved just for you – no other passengers. Your driver will meet you in arrivals and take you straight to your accommodation in Morzine, Avoriaz or Les Gets. If your arrival flight into Geneva Airport is delayed your driver will wait or we will organise another driver to pick you up, depending on the severity of the delay. We will always drop you off and pick you up at your door if your accommodation is accessible by road. You can request a specific pick-up time for your return transfer. Private transfers are available year-round, 24 / 7. Private transfers are also available from Geneva hotels and Geneva train stations. If you book a shared transfer from Geneva Airport, you will be travelling with other customers and may have to stop en-route to drop off or pick up other passengers. You’ll be grouped with customers arriving or leaving at a similar time to you, but you generally won’t have to wait for more than 45 minutes to leave Geneva Airport. A shared transfer is much cheaper than a private transfer and is ideal if you’re travelling alone or in a small group. You’ll be sharing a vehicle with other passengers who have similar flight times to you. There may be other pick-ups and drop-offs en route. You’ll have a maximum waiting time of 45 minutes at the airport, starting from when you arrive at the transfer meeting point*. Flights arriving between 21:00 and 09:00 have an increased waiting time of up to 90 minutes. If your arrival flight is delayed we will put you on the next available transfer. For your departure form Geneva, we aim to get you to the airport two to three hours before your flight. Your pick-up time will take into consideration the flight times of the other passengers on your transfer and the predicted traffic or weather conditions. Shared transfers are available from mid-December until mid-April and can be booked online for these dates. If you’d like a shared transfer outside these dates, please call or email our office to check availability. An economy shared transfer is the cheapest airport transfer we offer and is the perfect option for anyone travelling alone or on a budget. Economy transfers operate in a similar way to shared transfers, but with potential longer waiting times at Geneva Airport and earlier departure times from resort. One of the best-value door-to-door airport transfers in Morzine! You’ll have a maximum waiting time of 90 minutes at the airport, starting from when you arrive at the transfer meeting point*. You’ll be sharing a vehicle with other passengers who have a similar flight time to you. If your flight is delayed we will put you on the next available transfer. We will always drop you off or pick you up at your door if your accommodation is accessible by road. We aim to get you to the airport two to four hours before your return flight. Your pick-up time will take into consideration the flight times of the other passengers on your transfer and the predicted traffic or weather conditions. Economy shared transfers are available from mid-December until mid-April and can be booked online for these dates. We do not run economy shared transfers outside these dates. 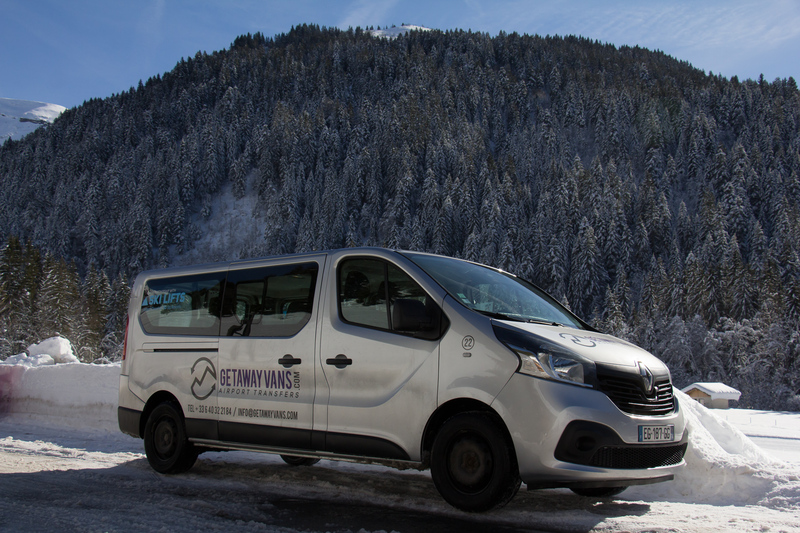 We only run economy shared transfers to the resorts of Morzine (including Prodains) and Les Gets. Economy shared transfers cannot be booked for flights arriving or departing between the hours of 21:00 and 09:00. *The Getaway Vans transfer meeting point is our airport customer service desk, which is located just to the left of the lime green Tekoe tea shop in the arrivals hall of Geneva Airport. At the weekends, please introduce yourself to our airport reps and they will direct you to your driver. In the week, your driver will be waiting by the desk holding a sign with your name on it.